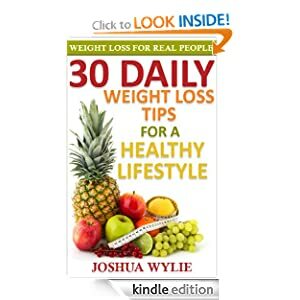 Get a FREE download of 30 Daily Weight Loss Tips for a Healthy Lifestyle Kindle edition from Amazon. This book offers actionable tips you can implement daily for the next 30 days that will help you to live a healthier lifestyle. This book is a set of solid weight loss tips that will empower you to lose weight by guiding you through your first month on this daily journey towards a healthier lifestyle in which you will not only experience weight loss, but you will be able to keep the weight off for good!